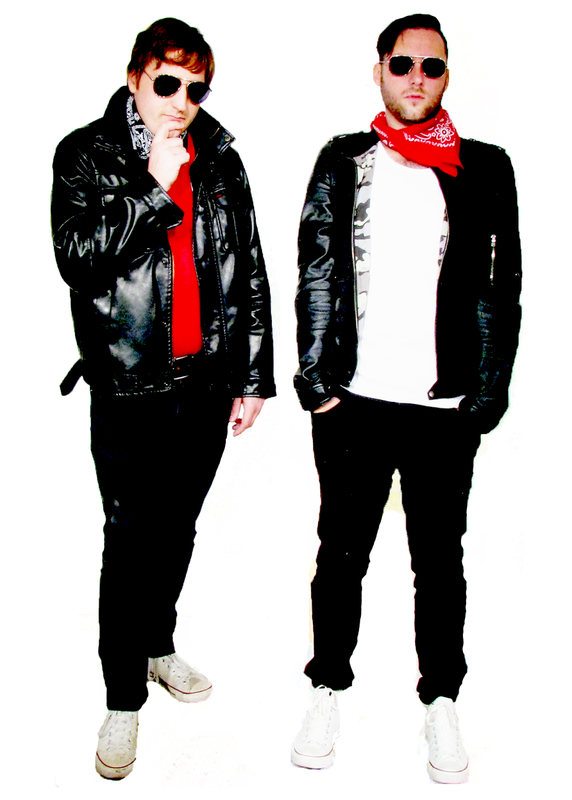 Background - Newcomers Healyum have delivered on early promise with new single ‘Cheap Alcohol’. 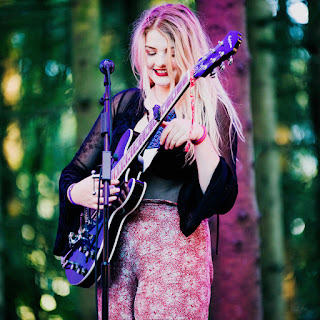 Previous singles ‘Lies’, ‘Three Months’ and ‘Fools Eyes’ have been supported by Huw Stephens on BBC Radio 1, BBC Introducing, and Radio X (where all three have appeared on the evening playlist). ‘Cheap Alcohol’ will join those earlier singles on the bands debut ‘Join The Party EP’ (released on July 27th). Combining London Grammar-like minimalism with a shimmering, pop-tronica edge inspired by Lorde, they’ve received glowing reviews. 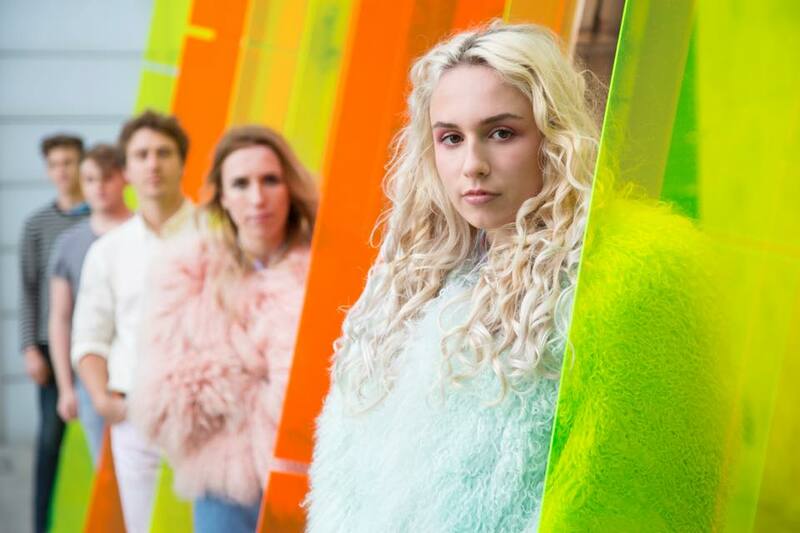 The music has also found it’s way onto various BBC Drama & Channel 4 TV shows, and they won the ‘Breakout Artist Award’ at the NMG Awards last year. 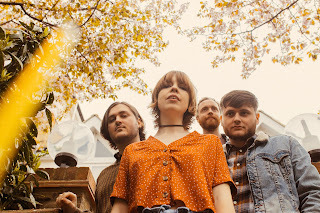 The band’s BBC Introducing support led to them being filmed live in-session and they recently played alongside fellow Bedford-boy Tom Grennan as well as Fickle Friends and Circa Waves. Singer-songwriter Jeaná Healy explains that if she threw a party, ‘Cheap Alcohol’ would be the soundtrack. Video director Sam Kinsella said he “wanted to capture the essence of a small London house party and some of the city's unique residential areas. 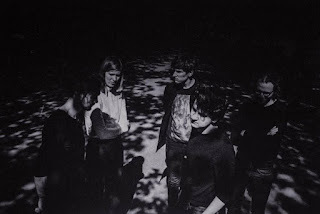 Obviously we weren't reliant on any kind of big production or location budget but it was important for that realness to translate as well... which essentially led to the guys getting really drunk on a Tuesday night and we managed to capture the night as it unfolded!” ‘Cheap Alcohol’ and the ‘Join The Party EP’ was produced and mixed by band collaborator Kristofer Harris (Belle & Sebastian, Ghostpoet, Indoor Pets). FACEBOOK. The comparisons with Lorde and London Grammar make sense but don't let that take anything away from Healyum, 'Cheap Alcohol' is a first class song, that stands on it's own merit. 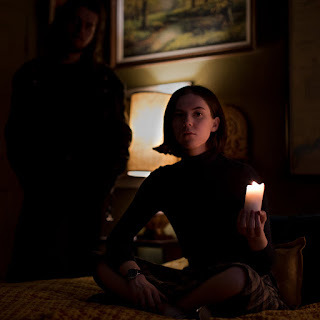 Atmospheric and soulful modern indie pop, the lyrics cut to the chase, and the bands desire to capture a small London house party (it's been a good while since I have been to one of those) comes through very well with the video imagery. Shapes On Tape - So Much. Background - Shapes on Tape returns with the rugged bubble gum of "So Much." With this vintage track, S on T brought it all back in house. For the first time since their classic, "Personal Enemy #1," Shapes has released a jam that was entirely written and produced by the band. When it's Shapes on Tape, you know it's all about the hooks. Written in a evening at their rehearsal studio, the song opens with dueling hooks that combine to be more than the sum of their parts. Adam lays down an earworm of a synth line that intertwines Jason's instantly catchy guitar riff. Then Jason's unique vocals deliver an impassioned ode to his pup, Lucinda, until Adam brings all back home on the bridge. Matuskiewicz’s lyrics and straightforward style walk the line between high and low concept with an abrupt 3-chord frankness that never takes itself seriously, while Kruckenberg’s powerful vocals and synthetic re-imaginings take the songs to epic proportions. Combined with Heaverin's unstoppable groove, you could be forgiven for wondering when The Boss had time to do a secret collaboration with Erasure. 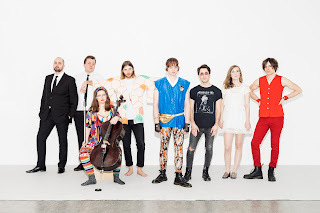 With the help of Grammy-nominated producer and Hedwig alum Justin Craig, SoT's forthcoming album Legends in The Process is sure to be a supersonic, beer-fueled dreamscape littered with the carcasses of waves and cores. WEBSITE. We featured Shapes On Tape a couple of times back in 2016 and then they disappeared off our radar until now. 'So Much' mixes gloriously unique vocals against a rich synth laden backdrop. Full of hooks (something this band seem to deliver consistently) this is a fabulous song with character, energy and style. John Mohead - Son Of The South. Background - The name alone evokes soul. And the person behind the name does as well. John Mohead is a veteran of the music scene. A story teller that can jam. He has toured with Bob Dylan, the Allman Brothers and Little Feat. On the folk side, he has worked with Billy Joe Shaver, Ray Wylie Hubbard and Shakey Graves just to name a few. Starting his carreer as a Nashville staff writer, landing a record deal distributed by Rounder Records, touring the world but never losing his Mississippi roots. His duck and punch vocal style is very reminiscent of Van Morrison or Lowel George. Country soul is what they call it in Muscle Shoals. He takes the William Faulkner approach and writes what he knows. This sound comes from the Mississippi. Not the mud, but the water. The blues had another baby and called it Americana from Mohead. When John Mohead released his debut album Lula City Limits on the Rounder Records subsidiary label Okra Tone, All Music wrote: John Mohead's debut record establishes the singer/songwriter as a contemporary heir to the Delta blues. 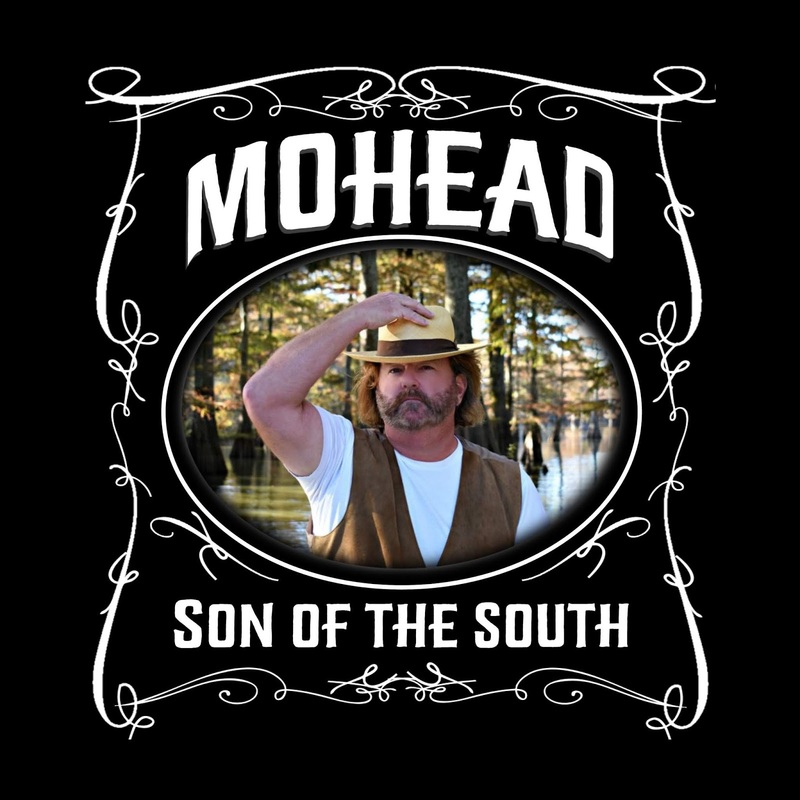 Updating traditional Mississippi blues with Southern rock and country influences, Mohead makes some intriguing music and he's a promising songwriter, as demonstrated by the overall consistency of the record. 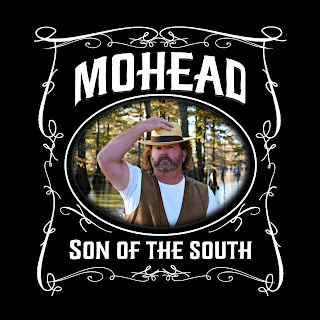 2018 sees the release of a new full grown album with a title that really says it all, Mohead is a true “Son Of The South”. His rootsy, Delta blues-rock tunes go down like good bourbon on a summer night. His slide work dances like moths around a porch light and his original songs take the listener to a beloved, homey place. Mohead’s music is deeply rooted in Mississippi where he makes his home. It is imbued with the inevitable influences of the blues masters who seem to sprout from the Delta as if planted by some unseen hand. A hand that loves the blues. Mohead is a homeboy, rich in Southern charm with a natural storytelling gift. He plays with passion and respect for the masters who came before him, carrying the torch with pride and purpose. WEBSITE. Featuring the title track from the new album 'Son Of The South' this collection of music really should appeal to a wide range of music lovers. The vocal comparisons with Van Morrison are down to nature rather than any attempt to copy the man, and the musical arrangements take us on a grand tour of Americana at it's finest and all it's connotations. Let the player below continue and you will hear three more tracks from the forthcoming album, in my opinion this is a very special one.